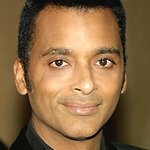 Cuban-American singer/songwriter Jon Secada is very active in raising awareness and funds for a variety of causes, including education, AIDS research, and child abuse. 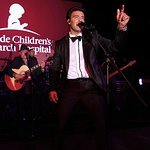 He performed at the 2010 Caron Renaissance Gala on February 26, 2010. The event benefits the Caron Renaissance Lifesaver Scholarship Fund. Secada is a three-time GRAMMY award-winning Cuban-American recording artist and songwriter who has released a string of hits in both English and Spanish. He has sold more than 20 million albums since his self-titled debut album in 1992. Jon Secada sold more than six million copies worldwide and was certified triple platinum in the U.S., where it reached No. 15 among Billboard Pop albums. He later scored a No. 5 Pop hit with the Gold single “Just Another Day,” and three more top 30 hits, “Angel,” “I’m Free,” and “Do You Believe in Us?” The Spanish-language version of the album, Otro Dia Mas Sin Verte, became the top Latin album of 1992earning him his first GRAMMY Award for Best Latin Pop Album. Recently, Secada participated as a celebrity contestant on Univision’s hit dance show “Mira Quien Balia” (Latin version of “Dancing with the Stars”), and he released his highly anticipated new Spanish album, Otra Vez, in February 2011. Secada is currently working on his next English album, I’m Never Too Far Away, which is expected to be released in 2012. He supports many initiatives, including the Pediatric AIDS Unit at Miami’s Jackson Memorial Hospital, among other charitable organizations. His song, “The Last Goodbye,” is a tribute to the families of the victims of the September 11, 2001, terrorist attacks. Several versions of the song were made, including an all-star version in Spanish with the participation of over 100 Hispanic Artists around the world. All proceeds of this single go to the victims’ families. Google trends for "Jon Secada"
We don't have any videos related to Jon Secada.